Orange Blossom is one of my go to ingredients in beauty products and so when I saw that it is the main element in one the fragrances offered by Arabelle Skin Sense in their range of Whipped Body Cremes I immediately knew this would be a cream I'd like to try myself. The enticingly aromatic scent hits you as soon as you twist open the jar and when applying it on the skin it is briefly heavily scented until it evaporates and a fresh and light perfume lingers long after use. When I was using the body cream there was no need to add my regular Orange Blossom perfume and so it felt very much like a 2-in-1 approach. As a moisturiser it did the trick too as it left my normally dry and tough skin looking healthy and hydrated. The fact that it's a whipped cream made it easier to apply than a body butter, and even a lotion, and within moments of coming in contact with my skin the product was absorbed, leaving a silky smooth surface. In retrospect, I should've probably ventured outside of my comfort zone and tried one of the other fragrances the brand offers, such as Blackberry & Basil or Lime & Coriander, as this unique range sets Arabelle apart from other body creams out there. But with my love for the Orange Blossom scent I am happy that this is the one I opted for as its refreshing and uplifting qualities added to the appeal of the whipped body moisturiser. My edition: Paperback, to be published on 3 October 2013 by Quercus, 389 pages. Description: This is a love story. But it's not what you think. This is not a first kiss, or a first date. This is not love at first sight. This is a boy and a girl falling in messy, unpredictable, thrilling love. This is the complicated route to happiness that follows. My edition: Paperback, to be published on 3 October 2013 by Harper Voyager, 352 pages. Description: Morgan Stockhour knows getting too close to the edge of Internment, the floating city in the clouds where she lives, can lead to madness. Even though her older brother, Lex, was a Jumper, Morgan vows never to end up like him. If she ever wonders about the ground, and why it is forbidden, she takes solace in her best friend, Pen, and in Basil, the boy she’s engaged to marry. Then a murder, the first in a generation, rocks the city. With whispers swirling and fear on the wind, Morgan can no longer stop herself from investigating, especially once she meets Judas. 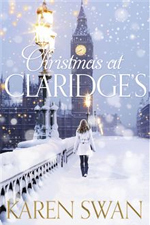 Betrothed to the victim, he is the boy being blamed for the murder, but Morgan is convinced of his innocence. 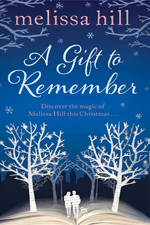 Secrets lay at the heart of Internment, but nothing can prepare Morgan for what she will find – or whom she will lose. Christmas is my favourite time of the year; the warm and spicy baking smells coming from the kitchen, the cosy atmosphere at home and in the shops, and watching The Muppet Christmas Carol for the umpteenth time with the family, what is there not to love? 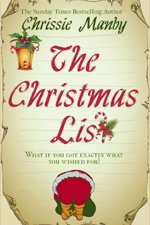 So it probably doesn't come as a surprise that Christmas books are my absolute favourite reads and I look forward to the new releases months in advance. 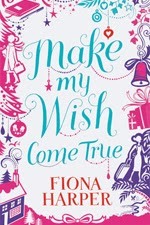 This year seems to be a particular treat with lots of fantastic holiday releases coming out by some authors I already adore and some I am not yet familiar with but I am now very keen to check out. With 'only' another three months until the big day I thought this would be the perfect opportunity to showcase some lovely 2013 releases to look out for. 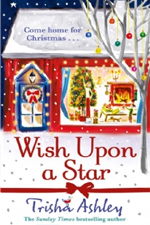 They are not all technically Christmas books, but they are very wintery and will get you excited for the festive season! 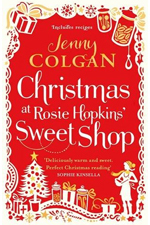 I love the books by Abby Clements, Alexandra Brown, Carole Matthews, Jenny Colgan and Lindsey Kelk and so I am thrilled that they all have seasonal releases this year. Having all these fab releases so close together really does feel like eh... Christmas! 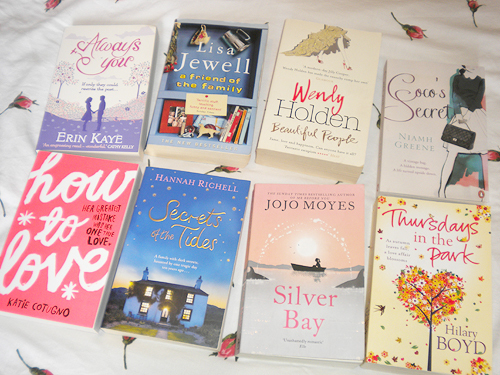 Visually there is a lot of red and blue on the covers this year as well as pretty snowflakes and very girly swirly fonts - love it! 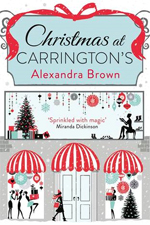 I think the covers for A Gift to Remember, Amelia Grey and Carrington's are particularly stunning and they really stand out amongst the others. 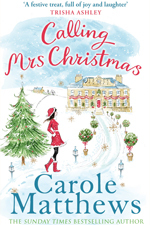 I've already had the pleasure to read two of the titles listed above (Amelia Grey and Calling Mrs Christmas) which were both even better than I could have hoped for. 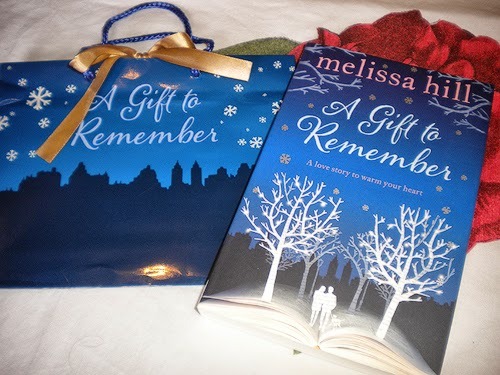 I also have proof copies of A Gift to Remember and The Proposal waiting for me on my to-read pile and I cannot wait to pick up the others in due course as well. 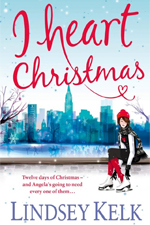 What Christmas titles are you looking forward to reading this upcoming season? If I have left some out, feel free to add them in the comments! 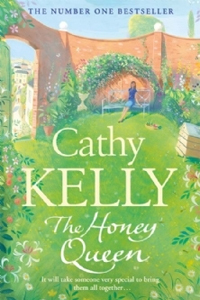 Win 1 of 3 paperback copies of The Honey Queen by Cathy Kelly! 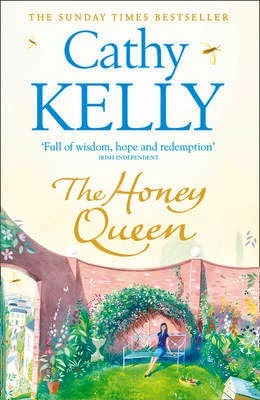 Publishers HarperCollins have given me TREE copies of The Honey Queen by Cathy Kelly to give away to celebrate the paperback release of the novel on 26th September! 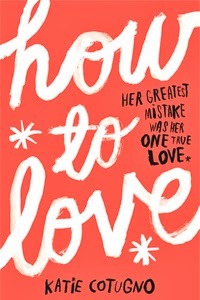 I had a chance to review a hardcover copy last week and I found this a gentle and compelling novel filled with heartwarming and memorable characters. You can read my full review here. For your chance to win one of three paperback copies of the book, just follow me on twitter (@canadian_turtle) and retweet THIS TWEET. The competition will run all of this week, closing Sunday 29th September at 11.59pm, after which the winners will be announced on here. Giveaway open to UK residents only. Winners selected at random and will be contacted by email within 48 hours after the giveaway has closed. This giveaway is now closed! The winners are: @acartoonheart, @Flutterbybat and @Martadelas13. My edition: Paperback, published on 15 August 2013 by Penguin, 352 pages. Description: Coco Swan has always been embarrassed by her name. 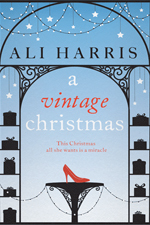 With a name like Coco, she thinks people expect her to be as exotic and glamorous as the famous designer, not an ordinary-looking small-town antiques dealer who could win an award for living cautiously. 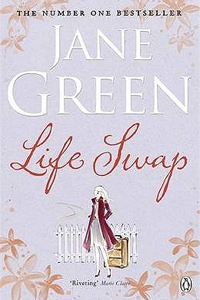 But when a vintage Chanel handbag turns up in a box of worthless bric-a-brac, Coco's quiet world is turned upside down. Where did it come from? And is it just coincidence that it's the same bag Coco's late mother always wanted for her? 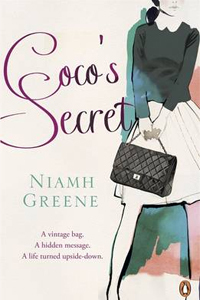 When Coco discovers a mysterious, decades-old letter hidden in the bag's lining, she sets off on a quest to piece together the story behind it, stumbling across secrets that span three generations as she goes. Could the beautiful Chanel bag be about to teach Coco more than she wants to learn? Or will it show her just where her heart can take her if she lets it lead the way? It may be September, which according to the calendar is still classified as summer, but because the British weather doesn't like to conform I'm sure I'm not the only one who has already dug out autumn and winter wear from the back of my closet to protect myself against the unpredictable heavy loads of rain and harsh gusts of wind that accompany the change in seasons. But while fur-lined boots may protect my feet and flannel shirts keep my body comfortable and warm, it's my skin that usually suffers the most from the drastic change in temperature. And so I'm always on the lookout for new products to try that aim to nourish my dry skin and keep it soft and smooth. And when Nicara Body Souffle was brought to my attention, which claims to do just that, I was eager to put it to the test. When I heard that the cream was described as a "body souffle" I didn't quite know what to make of it at first, other than that I was suddenly craving a hot chocolate soufflé! However, after receiving the product and feeling its incredibly delicate and airy texture I immediately understood the comparison to its edible namesake. Its spicy fragrance emulates a warm wintery feel, the perfect uplifting accompaniment to the upcoming season as the strong hint of cinnamon is reminiscent of homemade cakes and cookies and huddling around the fireplace with the family. As someone who adores the Christmas season I instantly fell in love with this warm scent and I enjoyed that it lingered on my skin long after I had applied it. Because the cream is so light it was easy to spread out and a small scoop went a long way to cover my arms and legs. And while it did initially leave a slightly sticky residue, in less than a minute it was absorbed and left my skin feeling soft and supple. 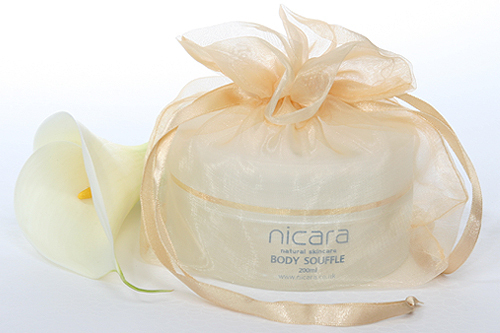 I suffer from dry skin, particularly in the winter months, and I felt that Nicara's Body Souffle satisfied my needs in protecting me from the elements. I applied it in the morning only, which was sufficient to moisturise my skin during the day, but you can of course also opt for using it both in the morning and evening if you'd like the cream to hydrate your skin day and night. My edition: Hardcover, published on 1 March 2013 by HarperCollins, 406 pages. Description: It's easy to fall in love with the beautiful town of Redstone – the locals wave and chat to each other, the shops and cafes are full of cheerful hustle and bustle. And amidst all this activity, two women believe they are getting on just fine. Francesca's boundless energy help her to take everything in her stride, including a husband who has lost his job and the unwelcome arrival of the menopause, which has kicked in – full throttle. Peggy, on the other hand, has always been a restless spirit. But now, focused and approaching thirty, she has opened her own knitting shop on the town’s high street. It's a dream come true, but she still feels adrift. 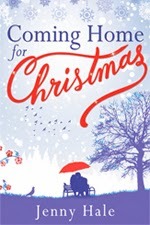 When Australian-raised Lillie finally makes it back home to Ireland, she is drawn right into the heart of Redstone's busy, close-knit community. 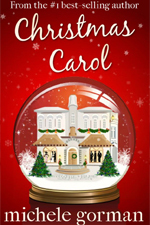 But what she thought would be an ending is actually just a beginning – all is not quite as it seems in the picturesque town. My edition: Paperback (uncorrected proof), to be published on 7 November 2013 by HarperCollins, 400 pages. Description: Adam Basil and Christine Rose are thrown together late one night, when Christine is crossing the Halfpenny Bridge in Dublin. Adam is there, poised, threatening to jump. Adam is desperate – but Christine makes a crazy deal with him. His 35th birthday is looming and she bets him she can show him that life is worth living before then. Despite her determination, Christine knows what a dangerous promise she’s made. Against the ticking of the clock, the two of them embark on wild escapades, grand romantic gestures and some unlikely late-night outings. Slowly, Christine thinks Adam is starting to fall back in love with his life. But has she done enough to change his mind for good? And is that all that’s starting to happen? 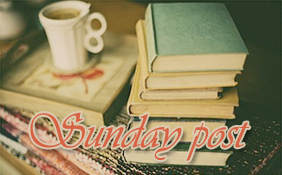 I had a really exciting literary week! Firstly on Monday I attended a Red magazine event titled "How to write a bestselling beach read", which had a panel of fantastic authors (Flic Everett, Lisa Jewell and Tasmina Perry) talking about their experiences. You can find my write-up of the event on Womans-World.co.uk. It was a really insightful evening, providing very useful information for the aspiring authors in attendance. 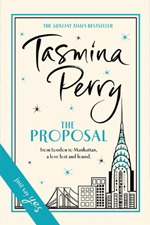 Everyone received a goodie bag as well, which included a proof copy of Tasmina's new novel, The Proposal (out November 7), and I can't wait to read it. 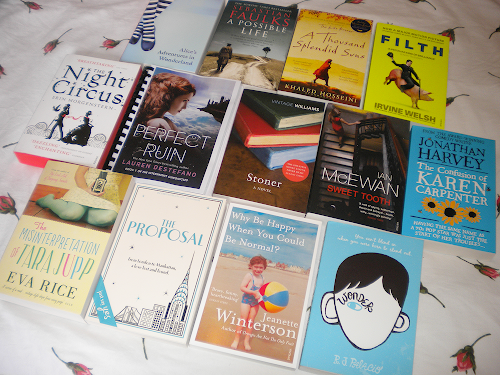 On Tuesday I ventured over to the Random House offices in Pimlico for a focus group on the Vintage Books imprint. It was an absolutely brilliant night and answering the questions from the Vintage Books team didn't feel like work at all - it was just so much fun getting the chance to discuss all things books with likeminded people! I even ended up exchanging contact details with a few fellow attendees, which was a lovely bonus to the night. And at the end, as a thank you, everyone there got a whole bag of super awesome vintage novels in a branded tote, how cool is that? Finally, on Saturday it was of course the launch for the fantastic new campaign Books Are My Bag, which aims to reverse the rapid decline in high street bookshops by raising awareness about their importance. For the occasion I decided to go to an independent book store I'd never been before, Newham Bookshop in (you can guess it!) Newham, which is about an hour from where I live. It's a brilliantly stocked store with stacks and stacks of books not only on the shelves, but also on the floors and basically everywhere you look. You can easily spend an hour browsing and then when you turn around suddenly spot some more exciting titles you missed before. I ended up buying four new books and got the Books Are My Bags tote to carry them home in - it was a very successful trip! 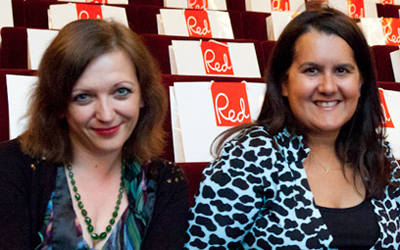 Red Magazine does not only provide their readers with a diverse and informative publication and online outlets, but they also host specially themed networking events which provide women with the opportunity to pick the brains of an expert panel. 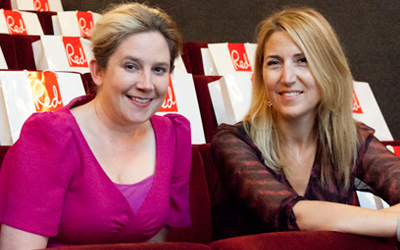 Last Monday (September 9th) Red's tenth event, How to write a bestselling beach read, was held at the beautiful Institute of Contemporary Arts. Attendees arrived to a buzzing atmosphere and were welcomed into the Victorian building's foyer with a glass of chilled champagne. The next thirty minutes provided an opportunity to mingle with the other guests and it quickly became evident that it didn't matter if you'd arrived by yourself or with a group of friends as the conversation with likeminded people flew easily. The experts on the night consisted of three published writers, Flic Everett, Lisa Jewell and Tasmina Perry, and Red Magazine's very own literary editor Viv Groskop, who was chairing the panel. The first forty minutes of the panel just flew by as they addressed one fascinating publishing experience after another. The women in attendance were all ears, and many even took notes, as Viv led the discussion with wit and ease. From 'Deciding your author name' to 'How to stay friends with people you've subconsciously written into your novel', and from 'Approaching an agent' to 'The differences between traditional publishing and self-publishing', a wide variety of topics were covered in the quick fire discussion. The answers from the published authors were honest and insightful, making the event a definite asset to anyone present wanting to break into the industry themselves. After 45 minutes it was time for the budding writers to ask the guests their own burning questions and the comments from the audience were equally intelligent and enlightening. One of the most prominent pieces of advice that surfaced on the night is that it is extremely important to write, write, write. Tasmina simply told the audience, "Bum on seat", and Lisa added, "Being on Twitter is not writing a novel". Flic, as the only self-published author on the panel, was able to give an insight into the still fairly new medium. She said that while a definite advantage is that nobody stands in your way (you don't have to please the publisher and/or agent or write a specific genre), it also means you don't get an advance, there is no guaranteed money and you have to do your own marketing. When the final questions had been answered satisfactory there was more champagne for the attendees to enjoy while they also got the chance to pick the authors' brains about their individual writing processes and experiences one on one. In all, it was a very well organised and insightful evening that made us certainly interested in attending another Red networking event in the not too distant future. My edition: Paperback, to be published on 26 September 2013 by Quercus, 464 pages. 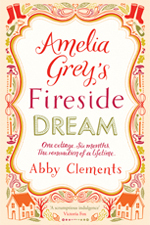 Description: Amelia has a dream: toasting chestnuts by the fire with her husband Jack in their own cosy cottage. Their real life is another world - a cramped one-bedroom flat in Hackney. But when life takes a surprising turn, removal vans are soon heading to the Kent countryside. Amelia and Jack quickly realise the cottage makeover is a far bigger project than they'd anticipated. 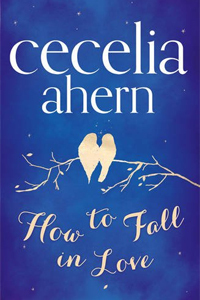 On top of that, there's Amelia's newly loved-up mum and her tearaway half-sister, Mirabel, to contend with - pushing Amelia and Jack's marriage to breaking point. 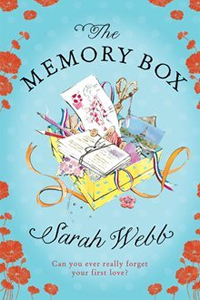 Amelia begins to strip back the wallpaper and fittings in the cottage and discovers the story of the cottage's previous owner - and a hidden secret. 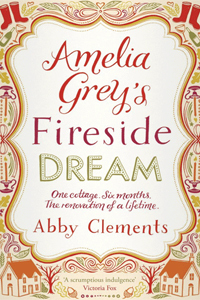 As Amelia's ideas about love and family change, will her fireside dream finally come true? 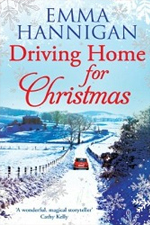 My edition: Paperback, to be published on 12 September 2013 by Pan Macmillan, 299 pages. Description: Pandora Schuster is about to turn thirty but that's the least of her worries. 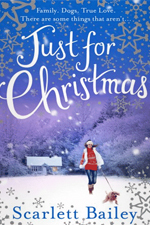 She has just been tested for a hereditary family illness and, expecting the worst, she's desperate for her ex-boyfriend and father of nine-year-old Iris to be a part of her daughter's life. But there are two major problems: Olivier Huppert lives in Paris and he has no idea that Iris even exists. 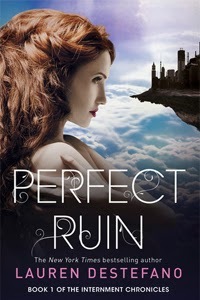 So Pandora secretly tries to find Olivier during her Parisian birthday weekend, but the trip doesn't exactly go to plan. 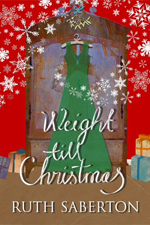 Back in Dublin, as the agonizing weeks until her test results crawl by, Pandora manages to find some distraction with her kind and sensible boyfriend, Declan, and with her fellow Shoestring Club members as they time-share a fabulous new designer dress. Show your support for your local bookshop on 14th September! Booklovers across the UK and Ireland are being encouraged to join nationwide campaign Books Are My Bag on September 14th, which celebrates high street & campus bookshops. It is a collaboration between publishers, bookshops, authors and agents to champion the passion for books and bookshops and celebrate their cultural importance on the high street. For many people bookshops conjure fond images of book readings, in-store cafes and delight at the discovery of a new author. In fact, 56 per cent of all book buying decisions are made by consumers in a bookshop and high street bookshops (both chains and independents) still account for almost 40 per cent of books bought by consumers Yet, many high street bookshops are under threat from punitive rates and rents, as well as pressure from the internet book retailers. In fact, despite being a vital part of our culture, community and our High Street, a third of bookshops have gone out of business since 2005. Books Are My Bag aims to reverse this process by reigniting the nation's love of bookshops, calling on book lovers to show their support by visiting and purchasing a book from their favourite bookshop on Saturday 14th September. Also very exciting is that if you purchase a book in any of the participating book shops on the day of the campaign you'll receive a lovely Books Are My Bag tote (as long as supplies last, of course), which is a brilliant way to show your support every time you use it (ie. always). So please everyone, blog, Tweet, Facebook and talk about this brilliant campaign to help spread the word about it and purchase a new read from your favourite book store next Saturday!